SMAC has become one of the world leaders in noise damping solutions for aircraft interiors. SMAC have a wide range of standard & customized products in the following four applications: Shock absorbers for aerospace (SMACMOUNT®), Fuselage damping materials and solutions for vibro-acoustic reduction (SMACSONIC®, SMACWRAP®EX), Cabin noise reduction thanks to the new & dedicated SMACWRAP®ST, Technical rubber parts for aerospace. SMAC is an expert in the acoustic comfort improvement in aircraft interiors, watertighness solutions and shock & vibration reduction. SMAC is specialized in study, development and manufacturing of Pyroshock & microvib dampers. SMAC materials bring innovative solutions, main European satellites & launchers companies collaborate with us. SMAC designs and manufactures high performances specific shock absorbers for defence applications. SMAC has developed a wide range of elastomer damping bumpers called SMACBUMP®, for different applications on Formula 1 and Racing cars. 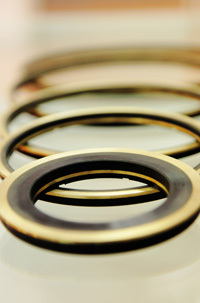 Custom Products, Small Series, 100% Tested, Aerospace Quality Certified.